Ruth's dementia left her with a fear of travel. She couldn't remember where she'd be going - or even a reason for going in the first place. With these uncertainties in mind, she always resisted getting on the Hope bus at our PACE Center. Although Ruth is sometimes troubled, she always warms up to pet visitor Bluebell. There's no stress, no misunderstandings, just a kind wag of the tail. 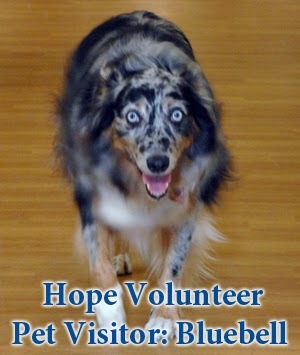 To overcome her travel fears, the Hope team asked Ruth if she could help her furry friend, Bluebell, onto the bus. The two boarded the bus together - naturally and easily, without a hitch! Bluebell calmly sat by Ruth's side for a few minutes before getting off again. What might have been a stressful moment became one to celebrate. 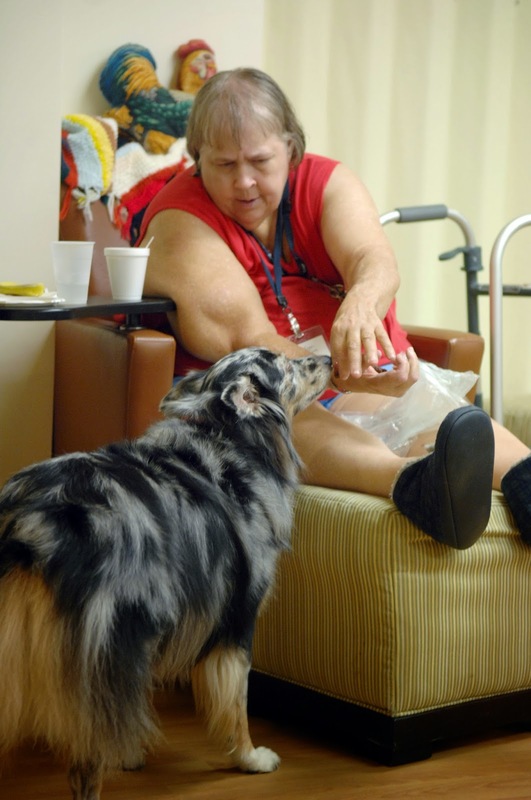 Pet visitors like Bluebell are an essential part of Pet Peace of Mind. Thanks to community donations, we can provide this unique support for those who need it most. Why Give to Pet Peace of Mind?